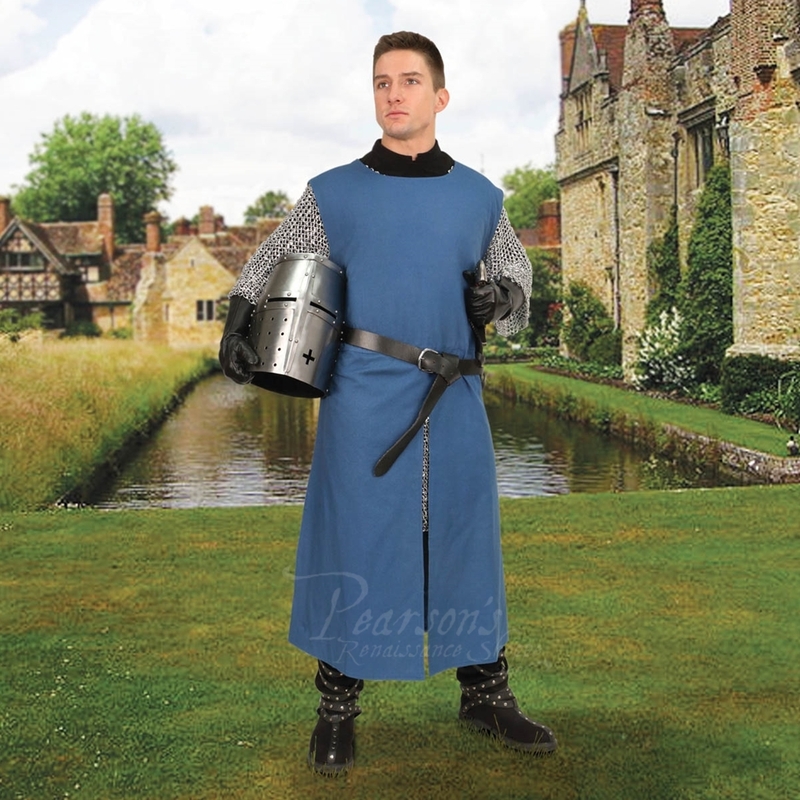 What knight would not want one of these heavy-duty tunics to wear proudly into battle? 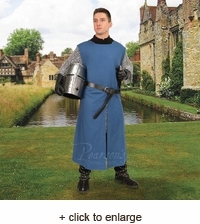 All of these tunics are made of a strong, durable cotton twill fabric. 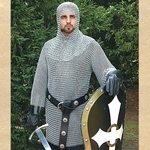 These tunics have a slit at the front and back, as well as both sides, making it fantastic for fighting or riding. Available in Black, Burgundy, Blue or Natural. Order S/M or L/XL. Also available with custom embroidery. Belt and other accessories not included.